If you’re moving to Panama and are considering buying a home here, congratulations! Not only is this a beautiful place to live and work, but also one that offers tons of exciting options as far as real estate investment goes. That said, it goes without saying that purchasing property anywhere in the world is a process. In Panama, this process will certainly be a bit different from what you’re used to back home. Sure, there are different forms to fill out, and maybe even a new language to navigate, but the process also requires a different mindset. 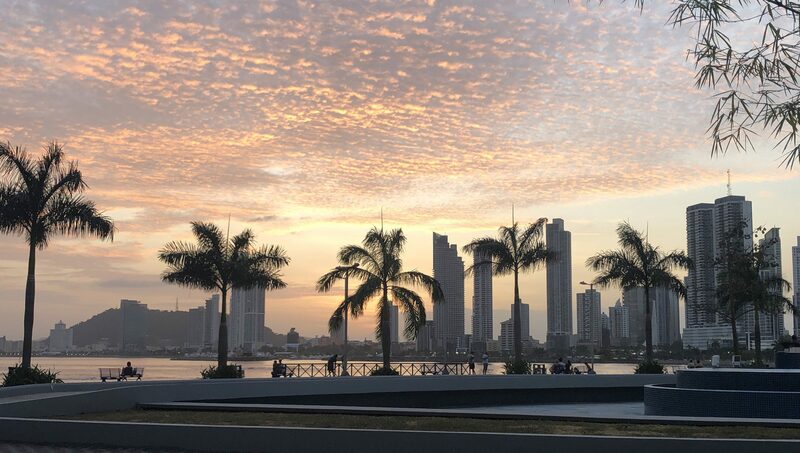 Here, we share with you some general tips, rules of thumb, and insight to help you understand what to expect when you land in Panama. As soon as you touch down on the tarmac in Panama it’s essential to acknowledge you are in another country and to open your mind to the fact that some things will be different here. Too often, foreigners arrive, look to buy a property and then get frustrated when things don’t go just how they’d expect. Instead, we recommend doing a bit of a brain reset. Remind yourself why you’re moving and accept that there may be some hiccups or surprises along the way. As a traveler, it’s often easier to embrace a country’s differences because they are temporary. As a resident, though, it’s harder but also more important to embrace these differences as they are unavoidable. No one has the magic formula for assimilating in a new country and navigating its complications, but being open-minded and flexible is a great place to start. In Panama, things never happen as quickly as you expect. It’s perfectly normal for voicemails to go unanswered or for emails to sit unopened in an inbox. You have to learn to be patient, but also to take initiative when needed. A lot of business is done in person in Panama, so it’s worth your while to communicate face to face instead of waiting for them to call you back. If you’re dealing with either a government entity or a bank, plan on at least an hour or two no matter how seemingly mundane or easy the task may at first appear. People often think they’ll ‘stop by the bank on their lunch break’ to fill out a form or get a statement. While this might go smoothly once in a while, nine times out of ten a trip to the bank takes longer than expected. There’s always another form to fill out or another $2 processing charge to pay. Again, patience and persistence are key. 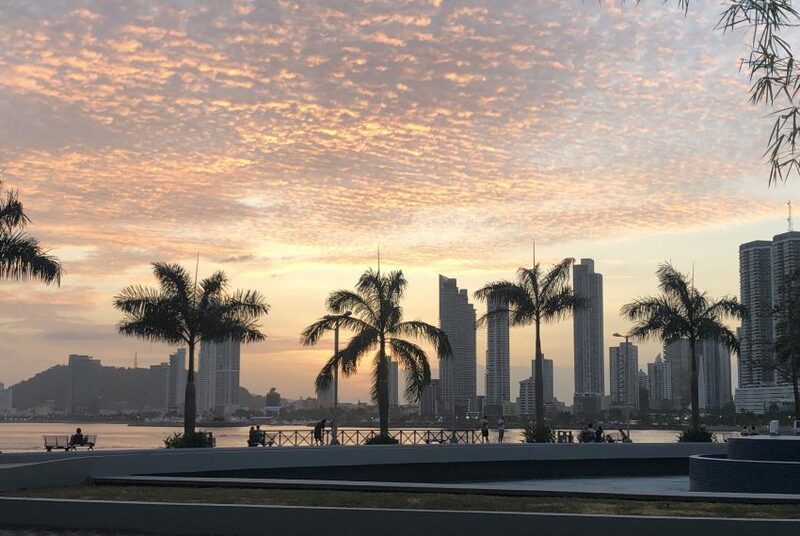 Apart from coming to terms with the somewhat inefficient nature of Panama’s real estate workings, you also must remember Panama has its own set of ethics, a very complicated bureaucracy and culture of ‘juega vivo’ that most expats have never experienced. ‘Vivo’ literally translated means alive and ‘juega’ means play. This ‘juega vivo’ mentality encourages a culture of keeping your wits about you, and not getting played for a fool. You may experience a tendency for the taxi driver who inflates his prices or the gas station attendant who rips off the driver who’s distracted on his phone. ‘Juega vivo’ does not necessarily mean taking advantage of foreigners, but affects locals too, so it is important everyone pays attention, because sometimes the situation is not intentionally malicious but rather sloppy. To add to the indirect pace of the real estate market, Panama is filled with many people attempting to be real estate agents. Inexperienced and unprofessional agents often show up two hours late, get lost looking at properties, speak very little English or Spanish, and try to push a particular property even though it’s not at all what you are looking for. This inevitably adds to the confusion, delay, and inefficiency, but it’s all a part of the market here, so be prepared. In addition, most of the large real estate agencies are a one-stop shop. Many offer legal, banking, and financial contacts out of one office. Choose the wrong firm and you may end up in a sticky situation. Sure, your agent can show you some great properties, and you may even end up closing the sale with him, but as far as after-the-sale support, forget about it. This can leave many people in sticky situations when they realize that what they agreed to wasn’t what they were told. Luckily, this aspect of the real estate market is somewhat in your control. Obviously, it’s easier to buy property in your native country, where you are familiar with all of the laws, restrictions, and pitfalls of your local market. However, when you put yourself in a foreign country, you are playing a whole new game. The best remedy to make sure you don’t get conned is to work with a respectable and experienced agency you can trust. Pick your agent carefully and asking your fellow expats who have already purchased property in Panama is a great way to gauge recommendations and separate the good from the bad. When you arrive in Panama City, expect to see buildings that appear to be empty at night. Modern skyscrapers filled with dark windows would lead most people to believe there are tons of units for sale. However, if you were to visit those same buildings during the day with your real estate agent and ask her to find what is for sale in the building they aren’t likely to come back with two hundred options, in fact, they might only be able to find five or ten apartments for sale and maybe the same number for rent. So what gives? First, many buyers choose to invest in Panama real estate and use the property infrequently. Venezuelans, for example, might still live in Venezuela and keep a property in Panama as a way to protect their assets. Purchasing an apartment in Panama enables them to protect their savings somewhere no government can touch and park it in a real estate market they feel is reasonably liquid. If they’ve chosen wisely, investors know they could sell at any time and not take a huge loss –or any loss. Unlike many of its neighbors, Panama’s government is stable and there’s less threat of corruption or political upheaval. Additionally, Panama’s market is relatively active so they could always rent out the apartment. Panama is also a part-time home to many snowbirds, who are people that come down for three or four months out of the year that have no interest in renting their apartment while they’re gone. Plenty of units stay empty for nine months out of the year only to be enjoyed for a few months in the winter. When searching for a property you will likely see there are many ‘For Sale’ signs and a lot of listings online. The number and type of listings available are not always accurate though. Often, agents will unethically use online listings as bait. They’ll put expired listings up to capture a potential buyer then let them know that property’s not for sale and offer to show them something else. Those listing sites are not regulated at all, meaning there could be duplicate properties, or there could be multiple prices for the same property based on when the agent last talked to the seller. In other words, if an owner dropped or increased the price oftentimes agents do not update their listings and instead, they publish it again creating a very confusing situation. There are two or three main listing sites where about 90 percent of the properties are published. However, because of the disparate nature of the marketing channels the different agents use, looking online won’t always give you an accurate picture of what’s actually for sale. Be prepared to be inundated with developer advertisements for new developments in and around the city. Panama City continues to grow and new developments continue to pop up. Some of the advertisements you see will be for projects which have just started, some are for ongoing projects, and some are merely intended to test the market to try to gauge potential interest before breaking ground. Pre-construction is based on trust: you see the slick designs and all of the fancy graphic renderings of what the building is GOING to look like, but the fact remains that all of this is based solely on promises and a TRUST that the developer will deliver on what they have promised. If you sign a contract with the wrong developer, you are going to have problems. Be sure to ask questions when vetting a project. What else has the developer done? What else is going on in the area? Is the financing of the development subject to pre sales? Will they be able to move quickly through the development and deliver keys? Long story short, not all developers are the same. There are plenty who are just getting started, and others who have been in the game for generations. Some are known for quick and high-quality work, and others have a reputation for stalling and deception. Align yourself with the right developer and you won’t have any problems. Find an agent who can give you a complete developer bio, and Google the developer yourself to see what comes up. Key takeaways? Always go into property buying with an open mind, but also keep your wits about you. Do your research, talk to others who’ve recently purchased a home, and make sure you choose a firm with a great track record you know you can trust.